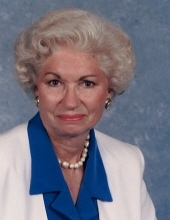 Edna Robertson Dunning, 91, of Christian Health Center died at 8:10 p.m. Monday, March 25, 2019 at Christian Health Center. Funeral services will be 2:00 p.m. Thursday, March 28, 2019 at Hughart, Beard & Giles Funeral Home with Chaplain Phil Crofford officiating. Burial will follow in Green Hill Memorial Gardens. Visitation will be Thursday from 1:00 p.m. until the funeral hour. Hughart, Beard & Giles Funeral Home is in charge of the arrangements. A native of Stewart County, TN she was born May 14, 1927 the daughter of the late Truman and Laura Walker Robertson. She worked for BellSouth for 35 years serving as chief operator in Franklin, Mayfield, Hopkinsville, and Paducah. She retired as manager in the Paducah office. She was a member of Cumberland Presbyterian Church and the Telephone Pioneers. She was preceded in death by her first husband: Carl Nickel, Jr. who died in 1986; her second husband: Mose Dunning who died in 2006; her brothers: Fred Robertson, Bernice Robertson, Homer Robertson, Spurlin Robertson, Buck Robertson, Frank Robertson, and Gilbert Robertson; and her sisters: Earlene King, Emmie Dee Sowell, and Nellie Heflin. Survivors include her step children: Mose Dunning of Waco, TX, Nancy Carr Bodell of Louisville, KY, and Eve Kain of Lexington, KY; and seven step grandchildren. Memorial contributions are suggested to the Cumberland Presbyterian Church. To plant a tree in memory of Edna Robertson Dunning, please visit our Tribute Store. "Email Address" would like to share the life celebration of Edna Robertson Dunning. Click on the "link" to go to share a favorite memory or leave a condolence message for the family.